DEL MAR — Voters will decide in November whether to raise the sales tax by 1 percent, which could add approximately $2 million annually to city coffers. And according to a poll taken earlier this month the measure, approved unanimously for the general election ballot at the July 18 meeting, has a good chance of passing. 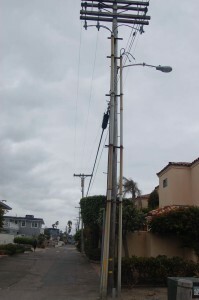 The city’s Finance Committee initially recommended the increase as a way to fund a citywide utility undergrounding project. But a single-use tax bump would require approval by two-thirds of Del Mar’s estimated 2,850 voters. So council members began looking at the proposal as a way to pay for several other projects, such as street improvements, law enforcement and the Shores master plan implementation. That type of general purpose increase only needs a simple majority to pass. But before letting voters decide, council members opted to spend approximately $22,000 on a poll to gauge support. True North Research Inc. contacted registered voters by mail, email and phone to take the survey during the first two weeks of July. The goal was to complete 400. Nearly 600 provided input. According to the results about 71 percent of the 583 respondents said they definitely or probably would support the increase. Another 23 percent indicated they would probably or definitely not, with the remainder unsure or preferring not to answer. Of those who opposed the measure, 23 percent said it was because they believe money is misspent or mismanaged, 14 percent said they needed more information and 12 percent said taxes were already to high. Of those who support the increase, 61 percent favored using the money to improve streets and repair potholes. Other popular projects were undergrounding utility lines (54 percent), providing fire protection and emergency medical services (42 percent) and providing police and crime prevention services (39 percent). When posed with positive and negative statements about the increase, support and opposition remained about the same. Timothy McLarney, president of True North, said based on the results he believes the measure has a reasonable chance of success. While educating the public in the next four months leading up to the election the city must emphasize that the money will be used for public works, infrastructure and public safety, he said. He also said the city must ensure voters don’t confuse it with a county measure asking for a half-cent sales tax increase. Council members have supported the 1 percent hike because it is estimated that about 70 percent of the sales tax in the city is paid by visitors. They see it as a way for them to help pay for the services provided, especially to the approximately 2 million beachgoers who come to Del Mar annually. While residents support the measure, the business community does not. She submitted a petition signed by about 30 businesses owners who oppose the increase. Councilman Don Mosier was sympathetic. “We’re squeezing our businesses,” he said. “It’s kind of minor,” he added, noting that an extra $1 paid on a $100 purchase would not likely scare people away. Mosier initially opposed putting the measure on the November ballot because it is expected to be crowded with about two-dozen other state and local initiatives. But with a 21 percent margin, “I think I can be convinced,” he said. Early discussions included adding a sunset clause to end the tax in about 25 or 30 years. McLarney advised against it. “A 25-year sunset sounds like a long time to voters,” he said, adding that there are other ways to end the tax.